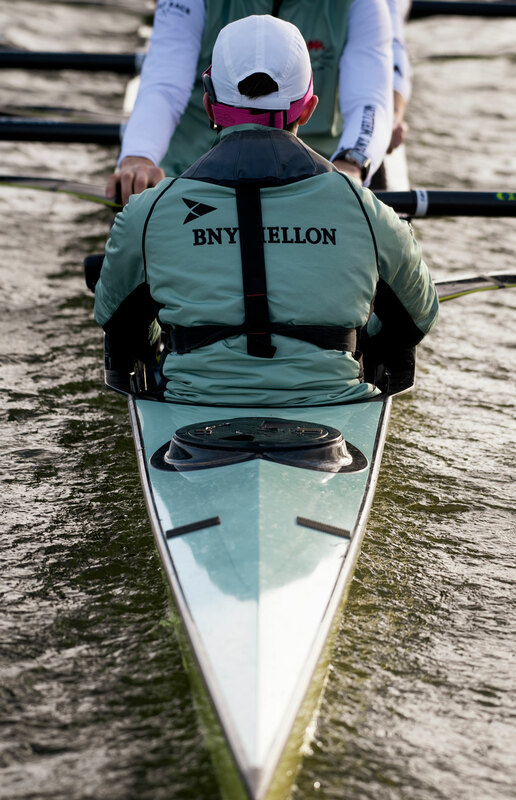 The 2019 Oxford-Cambridge Boat Race trial eights were held in early December in wintry, challenging conditions on the Tideway in London. First staged in 1859, the trial eights have become a tradition for both universities in their preparations for the Boat Races. Only a handful of close family and friends turn out to support the four teams as Oxford and Cambridge’s mens and women’s squads field matched crews to race side-by-side over the full four and quarter mile course from Putney to Mortlake. It is a dress rehearsal ahead of the actual race which is set to take place several months later and will be watched by a global audience of millions. These intra-squad races represent the only opportunity either side has to race the full course under the gaze of their official race umpires before the big day. With trial eights complete, the squads return home for the final few weeks training of the year before they head abroad for winter training camps in early January and the focus turns towards crew selection. Teammates become rivals over the coming months as they vie for places in the top boats. In March the the top boats, known as the ‘Blue Boats’ are officially announced and weighed. In front of the media and guests, each rower steps onto the scales with their opposite number to determine crew averages and who will have the heavier boat come Boat Race day, which next takes place on Sunday 7th April 2019.